Brian Cushing was selected 15th overall by the Houston Texans in the 2009 NFL draft. He is currently the inside linebacker for the Texans. He was the NFL Defensive Rookie of the Year in 2009 and the Houston Texans’ MVP in 2011. 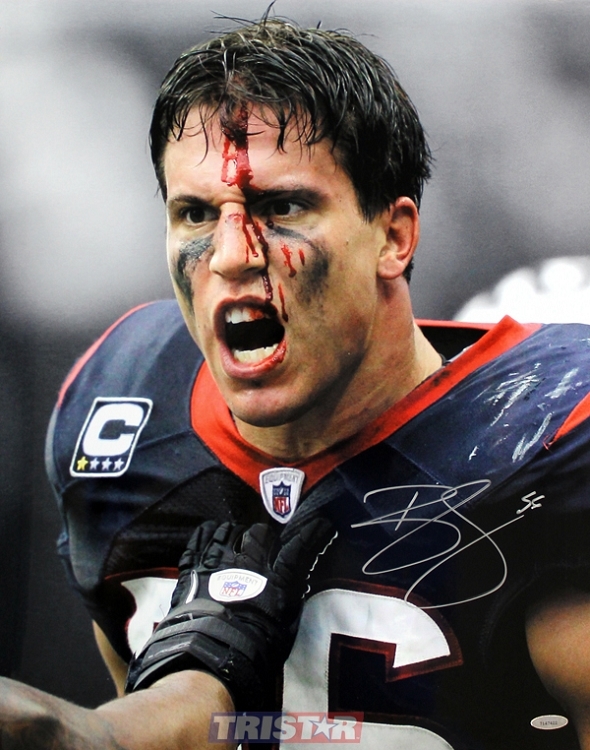 This Houston Texans 16x20 photo hand signed by star linebacker Brian Cushing. Each autograph is guaranteed authentic, and includes an individually numbered TRISTAR Authentic hologram.